Dr Jason C Jang has been Senior Radiation Specialist since March 1983 in the Division of Reactor Safety, US Nuclear Regulatory Commission (NRC), Region I. Jason joined the NRC in January 1981 as a Radiation Specialist. His expertise in the NRC include auditing, inspecting, and evaluating the radioactive liquid and gaseous effluent control programs, as well as the radiological environmental monitoring program of the nuclear power plants. Jason is one of the key NRC staff members to respond to any questions in these areas from the utilities, foreign governments, and concerned citizens. In 1984 and again in 1987, he served as a special consultant to the Korean Government (Ministry of Science and Technology) as the Field Expert from the International Atomic Energy Agency (IAEA). 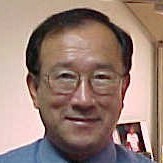 Jason received a BS degree in chemistry from Taejon Presbyterian College in 1967 (Taejon, Korea), Master of Public Health from Seoul National University in 1971 (Seoul, Korea), Master of Science and Doctor of Philosophy in Environmental Science from Drexel University in 1977 and 1982 (Philadelphia, PA), respectively. After arriving in the United States in September 1974 as a full time student and now a citizen since 1979, he was a founding member of Korean Saints Presbyterian Church. With that congregation he has held several administrative, choir, and teaching (including Korean language) positions. Jason has two American-born children, now adults, daughter and son.